Tantrums and Meltdowns are Different. Here's How to Handle Them Both. Tantrums and meltdowns are part of parenting, and they can make you feel like you’re the worst parent in the world. The truth is, they have nothing to do with your skills as a parent. Even the saints and their children had tantrums. Here’s how to understand, navigate, and work through both. In the annals of our children’s DEFCON 5 episodes, two, in particular, stand out. The first one took place on a road trip through the mountains of North Carolina. We call it “The Brownie Incident,” and the kiddo raged for 45 minutes until she passed out cold. The second one involved her sister, and I call it “20 Minutes of Walmart Hell.” A fellow shopper followed me through the store while my two-year-old screamed for a sparkly pink, dog-shaped purse. 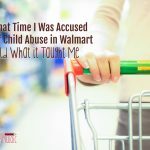 The shopper accused me of child abuse; I left the store in tears. Time has healed the trauma of those moments, and fortunately, I can look back and laugh. It’s also given me a much sharper insight into what I was dealing with at each moment: one meltdown, one tantrum, and two very different kids. According to R. Douglas Fields, a senior investigator for the National Institutes of Health, our brains are wired to respond a certain way to perceived threats. “Neuroscience has shown there are circuits that are activated for anger and aggression in response to different triggers. It’s part of the brain’s threat detection mechanism,” he says. For most adults in everyday circumstances, these situations can be managed through evaluation, analysis, and rationalization of events. But the flight or fight response is much stronger in children who have neither the maturity nor the developmental ability to cope with such triggers. Of course your two-year-old loses her mind at the dinner table when presented with the blue spoon, not the red one: she’s preserving order in her society. 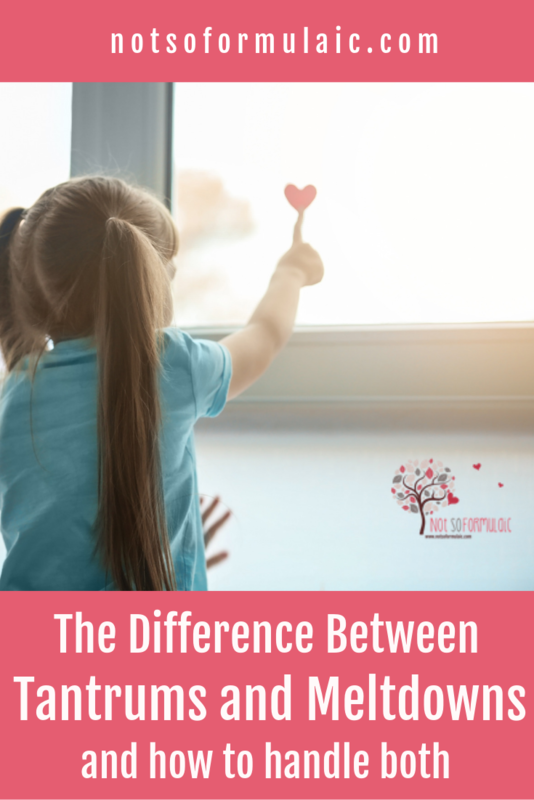 Now, before I had children – and really, before I knew I had children who were different – I used the words tantrum and meltdown interchangeably. 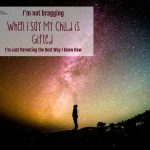 I defined them as the emotional outburst of any child losing his mind in public display of “behavior.” I also assumed them the result of indulgent parenting: a child reacting in such an atrocious manner clearly had never met a boundary. Then God sent me my own children to raise and wrangle, and I learned that I was wrong. This is the main difference between a tantrum and a meltdown. A tantrum typically is within a child’s ability to stem or lesson; a meltdown is outside the child’s control. Tantrums are shorter than meltdowns, typically running 12 to 15 minutes at most. Meltdowns last considerably longer, upwards of 45 minutes to an hour. During a tantrum, a child will usually cry, stomp her feet, yell, and occasionally throw or hit. A tantruming child maintains some ability to reason and communicate. A child in the midst of a meltdown can do neither, and will often exhibit aggressive behavior towards others or engage in self-injury. 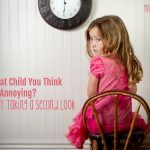 Tantrums peak between the ages of two and four, then gradually phase out around age six. Meltdowns can continue through elementary and onward, depending on the child’s circumstances and developmental needs. Tantrums are an equal opportunity battle. Every child has them, regardless of social and emotional concerns. Meltdowns, on the other hand, can be indicative of a comorbid issue. They are more common in children who are differently-wired: the gifted, the twice exceptional, and those with learning difficulties. While tantrums and meltdowns are hard on both children and their parents, meltdowns are the more heartbreaking of the two. They leave you and your child stranded in a sea of chaos until the momentum peters out. Try the following techniques for both sets of circumstances; a complete toolbox of calm down strategies is excellent for parents and children alike. Redirect as quickly as possible. Move the child on to something else. Set clear expectations and consequences from the outset. Children do well when they have appropriate boundaries set. 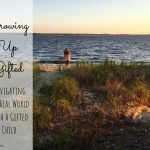 Reinforce and celebrate the great things your child is doing. Empathize with your child’s emotions. 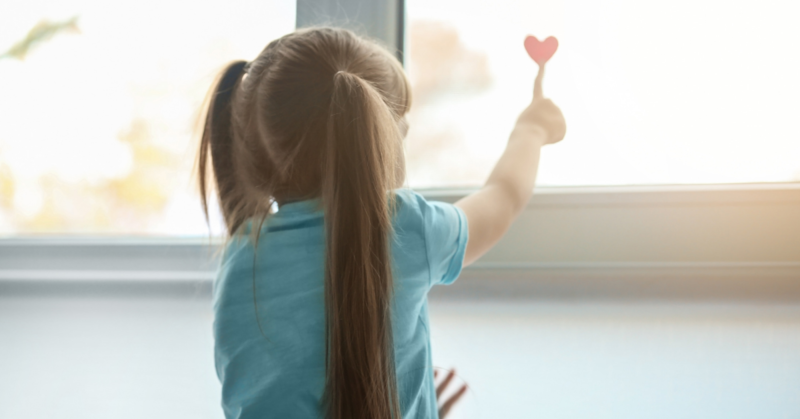 Use phrases that name the feelings your child displays. Avoid telling your child to calm down or stop being angry. Their brains aren’t developed enough to understand and act on that request. Use a quiet voice, even when it’s difficult. Try to maintain calm as best you can. Determine the source of the frustration and, if appropriate, alleviate it. Give the child space to work things out on his own. Let him know he can do it and you are there if he needs help. If there’s no concern for injury or property damage, try ignoring the behavior. Let your child know you will help her when she’s ready, and let her know what ready looks like. Limit sensory triggers by turning down the lights and quieting the room. For both tantrums and meltdowns, what should you do afterward? Talk it through with your child and determine what triggered the reaction. Even young children can look back on a situation and discuss on a basic level what they can do differently next time. 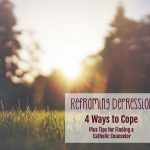 Teach coping mechanisms and attach words to feelings and emotions. For both tantrums and meltdowns, children often don’t have the language to express their internal strife. Work on skills that might be lacking, either on your own or in therapy. Children often need assistance in developing impulse control, problem-solving, delayed gratification, and negotiation and communication skills. The first rule of thumb for seeking outside assistance is to listen to your gut. You know your child best, and you know your own strengths and weaknesses. Your intuition is very often correct. As far as objective measures are concerned, consider length, frequency, and severity. Explosive meltdowns occurring more than once a week and lasting longer than 30 minutes probably merit an evaluation. 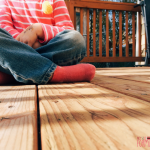 If your child struggles with tantrums or meltdowns, remember it is not your fault. 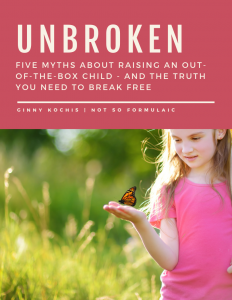 It’s not your child’s fault, either – it’s an artifact of growth and development. Our job as parents is to pass emotional regulation and sensory coping skills to our children. It’s entirely possible, especially when we approach it with patience, faith, and love.